Many questions remain up in the air regarding re-purposing of a portion of the C-band spectrum for future wireless use. 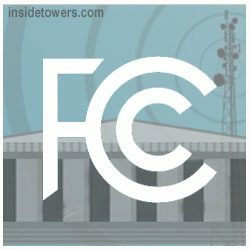 Chief among the issues the FCC is wrestling with is how much of the 500 MHz to re-purpose and how to ensure incumbent users are not stuck with the repacking bill. FCC Commissioner Michael O’Rielly says he’d likely support repurposing, “somewhere” between 200 to 300 MHz of C-band initially. “I’d like to get as much as possible. Speed is important to me,” he told Inside Towers at Wireless Connect last week. Maybe after a first round, opening a second portion of spectrum for repurposing might be possible, he suggested. “Those are decisions to be made still,” O’Rielly said. Incumbent users such as small cable operators and broadcasters have made a “compelling” case as to why all 500 MHz can’t be converted for wireless use, according to the Commissioner. “There are ‘contractees’ who have problems either going to fiber or other satellite services,” he said. That’s part of why the agency is wrestling with how much spectrum needs to be preserved for incumbents.